Our gorgeous sweet Hyacinth duo is perfect for the home or to send as a special gift. 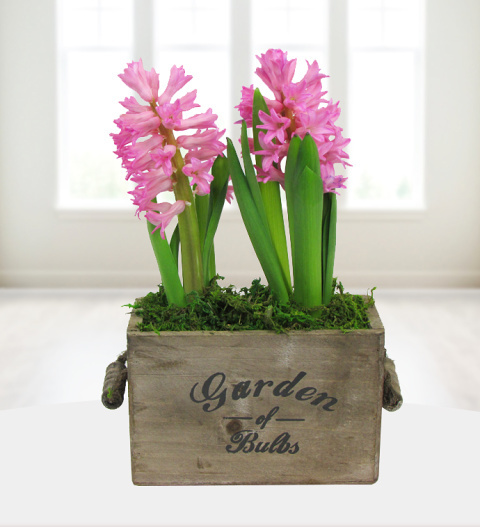 With two beautiful blossoming hyacinths presented in a rustic bulb pot, this gift comes with a FREE box of Belgian chocolates! Hyacinths are fun and easy to look after and are available for UK next day delivery. Chocolates may contain nuts.